Greig joined colours on the 4 August 1914 and was a private in the 14th County of London Battalion – London Scottish. The London Scottish had been established as a volunteer force in 1860 and had been sponsored by the Highland Society of London (an organisation that was set up to relieve ‘distressed Highlanders at a distance from their native homes’). William’s father was Scottish. On the 15th September William’s battalion departed for Ypres, Belgium. Ypres (or Wipers as the British referred to it) was strategically vital to the Allies as it was a way of preventing the Germans from taking France. From October 1914, the British held Ypres for four years. Ypres, the last Allied town in Belgium before the frontline, became one of the most strategically important locations on the Western front, with five major battles taking part in the Ypres salient including the infamous Passchendaele. It also provided access to the rest of Belgium and to France and would often be the last place allied soldiers stayed before joining the frontline. Ypres was heavily bombed during by the Germans but they did not take it from the allies. The First Battle of Ypres began on the 19 October and ended on the 22 November 1914. It followed the ‘race to the sea’ where both the German and Franco-British armies tried to advance past the northern flank of their opponents. The German army had been prevented advancing into France at the First Battle of Marne (5-12 September). The battle was made up smaller, regional battles aimed at holding the German army and remaining in control of Ypres. One of these regional battles was the Battle of Messines, which William’s battalion entered on the 31 October. Greig died on the 16 November 1914 aged 24. As he has no known grave, Greig's name can be found in the Menin Gate Memorial in Ypres, Belgium, along with 55,000 other men. 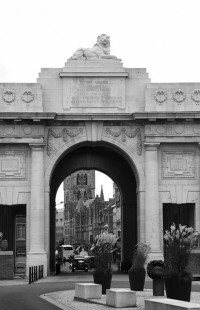 The Menin Gate was built in 1921 as a way of the citizens of Ypres to express their gratitude for those had given their lives for Belgium's freedom. It was designed to house the names of all Commonwealth soldiers who had no known grave. However, the memorial ended up being too small and so those who died after 15 August 1917 were inscribed at Tyne Cott. The Menin Gate opened in 1927 and every night at 8pm since the 2 July 1928, the Last Post is played at the memorial with the only exception being during the German occupation of Ypres, 1940-44. The lion ontop of the memorial represents both the British Empire and Flanders. For further burial details including Greig's grave registration report, visit his portal on the Commonwealth War Graves Commission website. 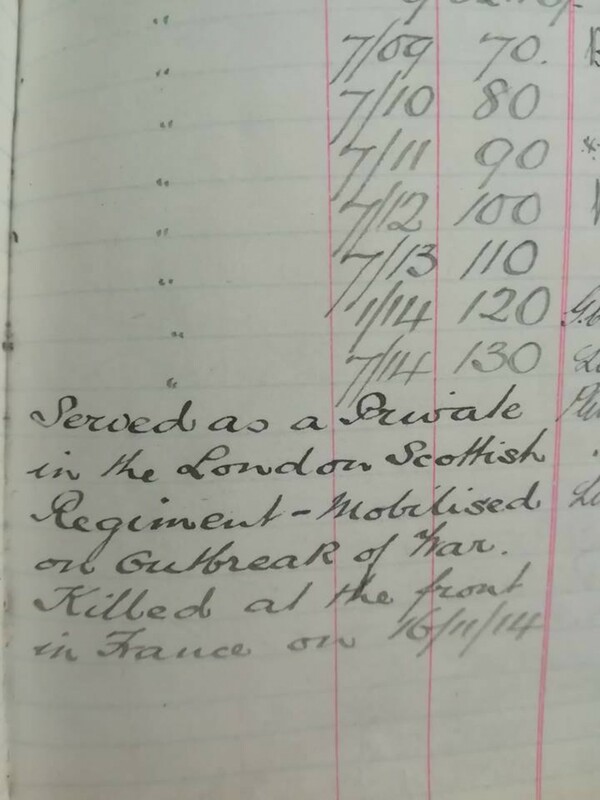 More information about Greig can be found on the Imperial War Museum's Lives of the First World War website. If William Greig is one of your relatives or you know more about his life, get in touch at hec.info@lrfoundation.org.uk!